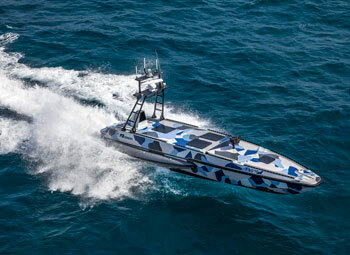 Israel Aerospace Industries (IAI), which unveiled its Katana unmanned surface vessel (USV) at Defexpo this year, has received feelers from the Indian Coast Guard and Marine Police forces of states like Maharashtra and Tamil Nadu, asking for more information and a demonstration of the system. 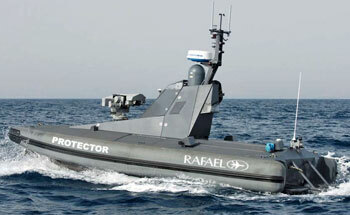 The forces have similarly expressed interest in the Rafael Advanced Defense Systems Protector USV. Developed primarily as a homeland security vessels, the Katana and Protector have been developed for missions including protection of exclusive economic zones, including - harbor security, patrol of shallow coastal and territorial waters, surface and electronic warfare and offshore platform protection (plus oil rigs, pipelines, and more). According to IAI, features of the Katana include autonomous navigation, collision avoidance, advanced control system and more. The vessel is equipped with various payloads (including electro-optical), communication systems, radio (Line of Site, LOS, or NLOS), radar and optional weapon systems. The Protector is projected as an 'integrated naval combat system' based on unmanned, autonomous, remotely controlled highly manoeuverable and stealthysurface vehicles. The Protector's well regarded anti-terror mission module payload includes sensors and weapon systems. The search radar and the Toplite electro-optical (EO) pod enable detection, identification and targeting operations. The weapon systems are based on Rafael's Typhoon remote-controlled, stabilized weapon station, capable of operating various small caliber guns.